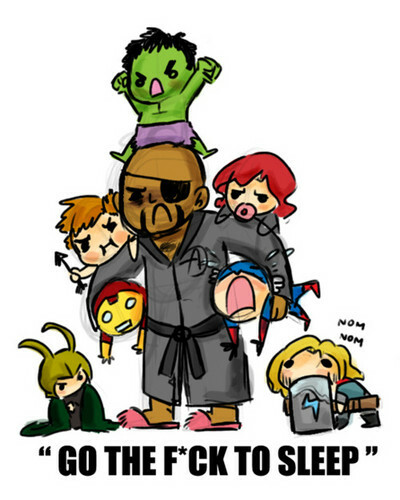 The Avengers /Bedtime. tumblr. Wallpaper and background images in the The Avengers club tagged: the avengers movie 2012. This The Avengers fan art contains anime, comic kitabu, manga, cartoon, and mkono. i love this picture its sooo cute! !